Our guide was wonderful, nothing was a bother and he was very knowledgeable on the history of the wall. This trip packs in great deal of historic and scenic interest both in Beijing and out in the country. The walks on the Great Wall were surprisingly varied and it was fascinating to see China transforming, seemingly before our eyes. The extension to Xi'an was also excellent - we saw so much in just two days but didn't feel rushed. A very interesting and varied tour led by an excellent and understanding guide. I would definitely recommend the experience. The leader/ guide support was excellent, as was the company of the other participants. Everything was superb; the guide went out of his way to see that every little matter was dealt with. Everything in the itinerary went without any hitches or delays. Thank you Mountain Kingdoms it was all wonderful. I’ve put a few snaps on a CD for you. I just couldn’t stop taking photos! James, our guide, was superb, so I had to include a snap of him, too! A short action-packed trip which combines the sights and sounds of Beijing with varied walks on the Great Wall of China focusing on sections of the Great Wall which few visitors ever set foot on. Travelling east, from the point where the sea meets the Great Wall of China, we trek in comfort – staying in good quality hotels en route with good facilities. We walk along sections of the Great Wall of China that few visitors see, chosen for their scenic splendour and historic interest. In some places the ancient wall has crumbled into little more than earthen banks whilst in others it zigzags into the distance across high peaked mountain ridges blanketed with spring blossom or autumnal hues. We break our walking days with a visit to the Qing tombs – the fascinating burial site of the emperors of the Qing Dynasty - and we spend our nights in hotels, rather than camping or village homes, so that we can relax in comfort and enjoy a good night’s sleep. In addition to walking the Great Wall, we have included time in Beijing with tours of the Forbidden City, Temple of Heaven and the traditional Hutong district and, if you want to see China’s other great cultural attraction, there is an optional extension to Xi’an to view the magnificent Terracotta Warriors. This is an exciting time to visit China as it undergoes rapid economic and social transformation. In fact, it’s the perfect time to see firsthand how its greatest ancient monument has become a symbol of its modern day dynamism. If you want to see the best sights that the country has to offer in less than a fortnight, the Great Wall of China Trek is perfect for you – call us today on 01453 844 400 to book a fantastic trek to this mysterious country. Meal arrangements: All meals included throughout. Tea will be included with meals. All other drinks must be paid for locally. Arrive in Beijing. View the Olympic Stadium. Visit the Temple of Heaven and surrounding park. Sightseeing including Tian’anmen Square and the Forbidden City. Drive to Laolongtou. Visit Old Dragon’s Head and museum. Walk along the wall to Shanhaiguan and visit the First Pass Under Heaven. Drive to Dongjiakou and walk 2 or 3 sections of wall. Drive Zunhua. Tour of Qing Tombs. Drive to Huangyaguan then walk to Qianganjian Village. Walk along the wall to Jinshanling the following day. Walk towards Simatai, and then return to Jinshanling. Walk the Jiankou to Mutianyu section of Wall. Walk. Drive to Beijing. Fly to the UK. Alternatively, opt for our two day extension to Xi'an to see the Terracotta Warriors. James is one of our english speaking local leaders - he is very knowledgeable about the Great Wall and in his company you will certainly gain an insight into the way of life, traditions and culture of China. If James is unavailable we will use another certified/registered guide. Depart the UK on your overnight flight to Beijing. Day 2 - Arrive in Beijing. Group transfer to hotel. Visit the Temple of Heaven. Upon arrival in the morning you are transferred to your hotel in the city centre. En route, you will have the opportunity to see the National Olympic Stadium known as the "bird's nest", because of its unique design, as well as the National Swimming Centre, known as the "water cube". After lunch, you will visit the Temple of Heaven complex where emperors once prayed for good harvests, making offerings of grain, silk and animals.Constructed during the Ming Dynasty (1368-1644), it is acknowledged as a masterpiece of Chinese architecture; the Hall of Prayer for Good Harvests was built without a single nail. Surrounding the Temple is a park where local people, mainly the older generation, come to participate in a range of games and activities. It is quite impressive and great fun to watch them doing their T'ai Chi, playing ball games, dancing with ribbons and singing traditional Chinese songs. Dinner will be in a local restaurant where you will begin to explore the delights of Chinese cuisine. Day 3 - Tour of Tian’anmen Square, the Forbidden City and the Traditional Hutongs. In the morning, you will visit Tian'anmen Square followed by a tour of the Forbidden City. For 500 years the Forbidden City was the Imperial Palace for Ming and Qing dynasty emperors. The biggest and best preserved cluster of ancient buildings in China, this monumental complex, once strictly out of bounds to the general Chinese public, houses up to 800 buildings and, reputedly, 9,000 chambers. Highlights of the Forbidden City include the Clock Museum and Treasure Hall. In the afternoon, you will explore the traditional neighbourhoods called Hutongs (literally alleyways) on a guided walking tour, where you will get an idea of what the entire city once looked like. Day 4 - Drive from Beijing to Laolongtou - 4 hours. Walk to Shanhaiguan - 1½ hours. After breakfast you will drive four hours northeast of Beijing (315 km) to Laolongtou. Known as the Old Dragon's Head, this is the eastern starting point of the Ming Dynasty Great Wall and it extends about 20 metres into the Bohai Sea like a dragon drinking water; hence its name. You will check into your hotel first and have lunch before visiting the Dragon's Head, the adjacent temple and the various museum exhibits. You will then take your first steps along the Wall, walking for approximately 6 km into the modern city of Shanhaiguan. This gentle introductory walk provides an excellent illustration of what happens to the wall when it is left to the elements and the passing of time, becoming little more than an earthen bank topped with vegetation. The contrast you'll see with other restored sections of the wall you will see during your trip is considerable. On reaching Shanhaiguan you will visit the strategically important First Pass Under Heaven and walk along the restored garrison walls. The impressive walls of the pass are 14 metres high, 7 metres wide and 4 km around. There are 6 gates into the pass topped with 5 watchtowers from which you can look down onto the entire fortress and the Great Wall stretching away into the nearby mountains and down to the sea. You will then return to your hotel at Laolongtou before taking dinner at a local restaurant. Day 5 - Drive to Dongjiakou - 2 hours. Dongjiakou Great Wall walk - 3-4 hours. Drive to Zunhua - 4 hours. After breakfast, a 2 hour drive (80 km) will take you to Dongjiakou where there are three sections of the Great Wall open to walkers. En route, you will have a short stop at Panjiakou to take photos of the picturesque point at which the Wall crosses the Jiujiang River. On reaching Dongjiakou you will follow a good path uphill for 20-30 minutes before you step onto the Great Wall itself. This section, although short, is the perfect contrast to your walk from yesterday as here you can see the Wall in its full glory, rising and falling along the ridges of Damao Mountain. The Dongjiakou Wall was initially built in 1381 and, despite its age, it remains one of the best-preserved sections of the Ming Dynasty Wall. Largely in its original condition, any restoration work has been carried out by the local villagers, rather than the government, many of whom are descendants of the original Wall builders and guards. As you walk along the Wall you will also see elegant carvings above some watchtower entrances and an original carved stone tablet bearing the names of the original wall builders - all unique features. The first section ends where the mountain acts as a natural barrier and a path takes you back down to your starting point. From here you move on to the next section where a path again takes you uphill to join the Wall. This section is approximately twice the length of the first and, although undergoing greater reconstruction, still enables you to appreciate the engineering genius of the Wall's creators. There may also be an opportunity to walk the third section of the Dongjiankou Wall - making a total of 9 km. After you have completed your walk, there will be time to have lunch and explore the village at the foot of the Wall before driving to Zunhua (approx 4 hours, 210 km) where your hotel awaits. Day 6 - Drive to the Eastern Qing Tombs - 1 hour. Tour of Eastern Qing Tombs. Drive to Huangyaguan - 1 hour. 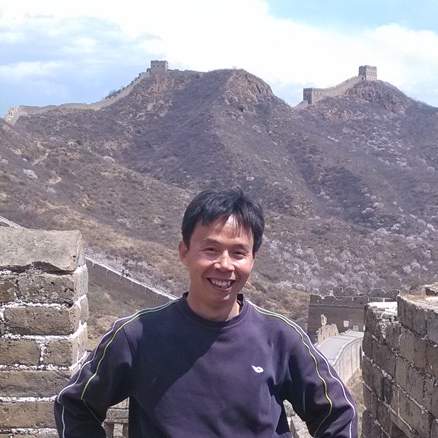 Walk Huangyaguan Wall - 4 hours. This morning you will have a drive of one hour (40 km) to reach the Eastern Qing Tombs where you will explore the splendid imperial mausoleums of the Qing Dynasty including the burial chamber of Emperor Xiaoling. The Eastern Qing Tombs are considered the grandest, best-preserved and most complete of all the imperial burial sites in China. Building started in the 18th year of the reign of Shunzhi (1661) in the Qing Dynasty. Altogether 161 members of the imperial family including five emperors and 15 empresses were buried here together with their concubines. The last burial was of an imperial concubine in 1935. Entrance to the site is along the impressive Sacred Way where statues of guardian animals and other figures protect the route to the tombs. Having completed a tour of the Qing Tombs you will drive for a further hour to the Huangyaguan section of the Wall, famous as the starting point of the annual Great Wall Marathon. Following lunch, the initial part of the walk takes you up the many steps of the Huangyaguan Wall which was renovated in 1987. Eventually, you climb a steep stairway known as the Skyladder after which the wall is replaced by mountain trails with delightful views. Your path contours around the mountainside and along ridge lines and you will encounter sections of the Great Wall built during the North Qi Dynasty - approximately 1500 years ago. This is the oldest wall you walk on throughout the entire trip. After around three hours you will descend to the village of Qianganjian and be driven to your hotel. Day 7 - Drive to Gubeikou - 1 hour. Walk to Jinshanling - 5-6 hours. Gubeiko village lies approximately one hour's drive from Miyun and is the starting point for a very interesting day's walk. Initially, you will see the Wall in an extremely dilapidated condition, little more than a large earthen embankment with no recognisable features. This is indicative of its pre-Ming Dynasty age as well as the stone looting that has taken place over the years. Gradually, as your walk progresses, more regular features appear and you will see the remains of watchtowers and ramparts. In places though, it is so overgrown with vegetation that you will need to take an alternative path through the countryside. As you get nearer to Jinshanling, the views get more expansive and the wall takes on its more classic nature, snaking over the surrounding mountains. By the time you reach Jinshanling you will be walking on one of the better preserved sections of the original Great Wall, which has undergone little reconstruction work and has protected status. You will leave the wall and transfer to your hotel in a nearby mountain village. Day 8 - Optional sunrise excursion. Day hike from Jinshanling towards Simatai - 6 hours. You have the option for an early start today to see the sunrise from one of the watchtowers at Jinshanling (payable locally).. In the near silence of the morning, this is truly an unforgettable experience. Extensive restoration work on the Jinshanling to Simatai section of the Great Wall means that your walk today will go from Jinshanling towards Simatai and then return to your starting point. Unfortunately, access through to Simatai isn't presently possible. However, the sheer beauty of the both the Wall itself and the surrounding countryside still make this a very worthwhile exercise. In fact, it is desirable to see as much of this section as possible before it is restored and its original qualities, perhaps, lost forever. The slightly ruined nature of the Wall here is much of its appeal and, though you may find yourself stepping carefully over plants and loose bricks, you can still appreciate its astonishing beauty and impressive construction. The watchtowers were built to a range of designs giving each in turn a different look whilst the mountainous nature of the countryside required steeply rising and plunging parapets and other special features such as perpendicular obstacle walls to aid defence. Having walked as far as you can, and no doubt taken many photos, you will return to Jinshanling where your driver will be waiting to whisk you away to your hotel. Day 9 - Drive to Jiankou - 1 hour. Walk from Jiankou to Mutianyu - 4-5 hours. Drive to Beijing - 2 hours. In the morning there is a one hour's drive (40 km) to the foot of the Jiankou Great Wall. This section of the Wall was built in 1368 during the Ming Dynasty and is named after its shape (like a bended bow). It is famous for its unique beauty and many photographers arrive in the early hours to capture sunrise here. You will initially walk up through trees for around 30 minutes to get to the Zhenbei watchtower. Standing on top, 1,000m high, there are beautiful views of the entire expanse of the Jiankou Great Wall and surrounding mountains. Today's walk takes you along one of the most magnificent and virtually deserted sections of Wall. The Jiankou section is largely in its original condition therefore you will need to tread carefully in places where the bricks are loose and crumbling and the vegetation is taking over. After about four hours you will get to a section of restored Great Wall known as Mutianyu which, by way of total contrast to the peace and quiet of the previous few hours, may be inundated with Chinese tourists. When you finish your walk you can either stroll down or take the option of a cable car ride, or even a toboggan run (both options payable locally). At the bottom of the Wall you will be assaulted by a teeming melee of stallholders selling all manner of tourist wares. It's a good place to barter for a bargain and buy your 'I climbed the Great Wall' T-shirt. Leaving the Wall behind, you will enjoy lunch in a nearby restaurant where you can celebrate your Great Wall adventure. A two hour drive (90 km) will take you back to Beijing and a farewell evening meal. Day 10 - Transfer to airport. Depart Beijing. Today you will take a pre arranged free shuttle bus to the airport for your return flight to London. Day 11 - Arrive London. What we enjoyed was walking on remote sections of the wall that is not crowded with tourists. Small group tour. Excellent local guide. Excellent guide who explained everything. Organised meals etc. very well. Xi’an is considered to be the most historically rich city in China having been the cultural and political capital for many hundreds of years. It was also situated at the start of the Silk Road giving it a distinctly cosmopolitan feel which is still evident today. This 3-day extension takes you to all the major sights including the incredible Terracotta Warriors, the vibrant Muslim Quarter, the impressive city walls and the towering Big Goose Pagoda.